Mary Kay Landon received her PhD in East-West Psychology from the California Institute of Integral Studies in San Francisco. After pursuing a curriculum that included Jungian psychology and Chinese history and philosophy, she developed a dissertation that introduced a systematic method of studying meaningful coincidence. “On Receiving Unexpected Money: A Theoretical and Empirical Investigation of Anomalous Mind–Matter Interactions Within Archetypal Fields” reported on the results of a ... See More randomized controlled experiment that sought to determine if statistically discernible patterns of coincidences would occur within the context of an experiment and, if so, whether they occurred more frequently to participants performing particular actions and/or possessing particular psychological attributes. 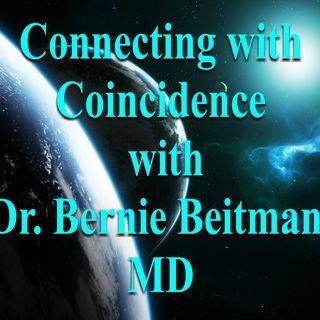 Some of her findings were subsequently published in the December 2011 edition of Psychiatric Annals, edited by Bernard D. Beitman, MD, that addressed Coincidence Studies. Over a decade before arriving at the Institute, Mary Kay became a regular practitioner of the I Ching, humanity’s oldest oracle, and regularly consulted the book on matters relating to her small business, relationships, and other aspects of life. Upon entering the Institute, she embarked on a more formal study of this ancient Chinese oracle with noted Taiwanese scholar and author Dr. Yi Wu. Under his guidance, she not only gained an essential Chinese perspective on the book, but also came to appreciate how, as the pre-eminent book among the six Confucian Classics, the I Ching influenced the development of various Chinese philosophical systems, including Taoism, Confucianism, and the Yin-Yang School. Since that time, she has presented lectures on the I Ching in various forums and conducted readings for many friends and clients on the topics of business, finance, careers, relationships, and health. Last year she launched her own web site devoted to the I Ching, DecisionPointIChing.com, and blogs periodically on how the wisdom of the I Ching can be elicited to comment on national politics and predict election results.